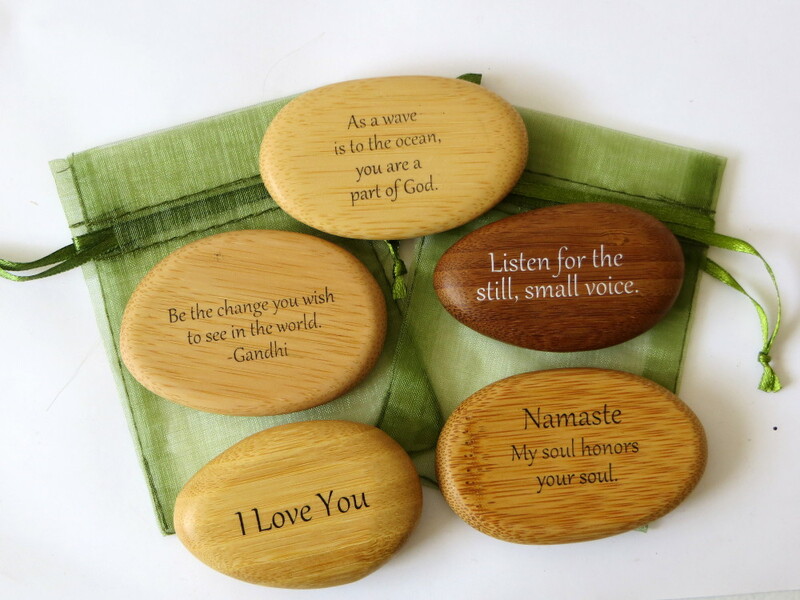 Products - Bamboo For You - Lifeforce Glass, Inc.
Organically grown bamboo is laminated and made into large pieces. Cutting boards are made from these, and the leftovers are smoothed into these beautiful shapes, approximately 2.5" across. We imprint them with messages that are special to us, and to your customers, too. Moss green see-through pouches and boxes are included, too. You can buy an assortment, or order by title. See the sub-categories for general gift titles and scripture verses. Bamboo For You- Remember I am with you always. Bamboo For You- I can do all things in him who strengthens me. Bamboo For You- All things work together for good for those who love God. Bamboo For You- Listen for the still, small voice. Bamboo For You- As a wave is to the ocean, you are a part of God.